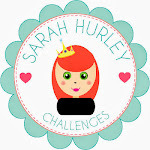 Sarah Hurley 365 (Formerly Sarah Hurley Challenges): Cameo Creations Episode 1. Hello, it's Carol here today and I can't believe it is a new month already! 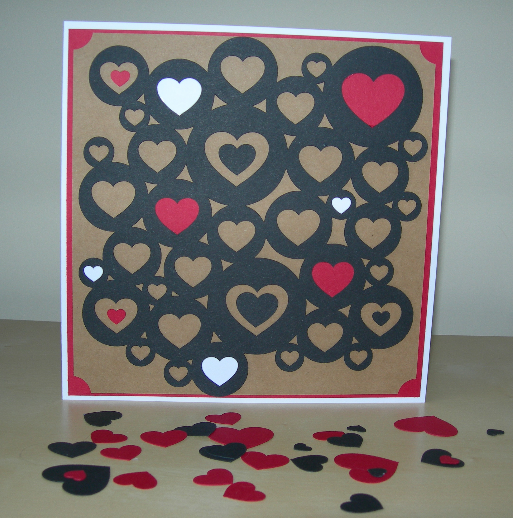 Which means it is almost St Valentines Day, so I thought I would share another love themed make. In my last post I spoke about my "10 Minute Makes" and the other mystery makes...it can only be "Cameo Creations" using Sarah's files from the Silhouette Store. This is quite a photo heavy post, so you may want to grab a cuppa and a biccie! 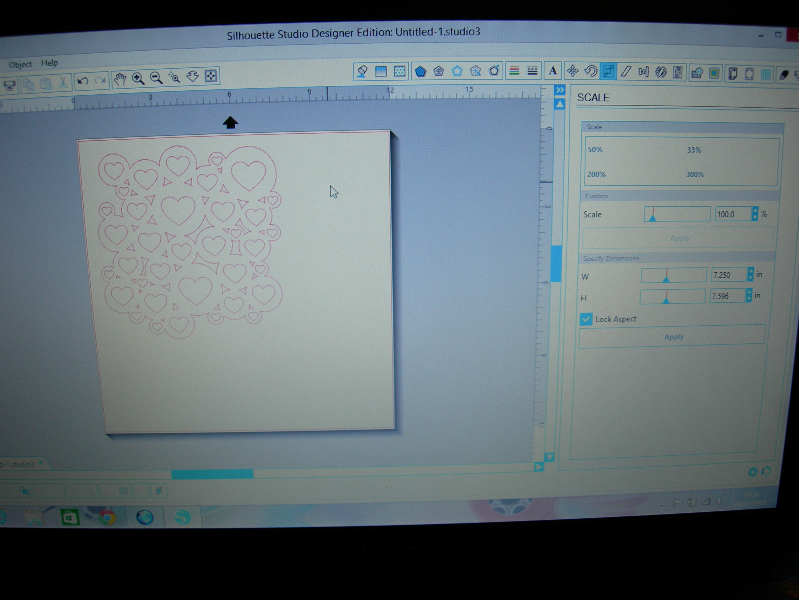 First I picked the file I was going to use, Circle Heart Page Mat, and adjusted it to suit the size of the card I was making. I opted for 8"x8", which is unusual for me, but good to do something different. I then chose the colours I wanted to cut the shape into. 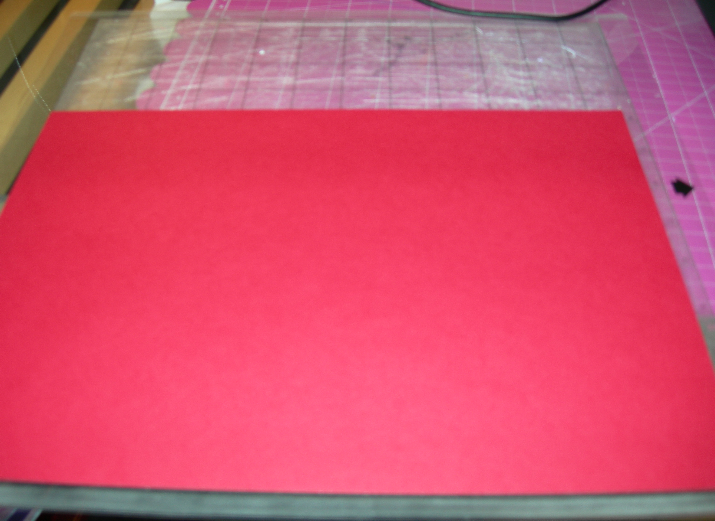 I make two different mats so that I can mix and match, this will be clearer in later pictures. Pop out all of the wee hearts and keep for later. 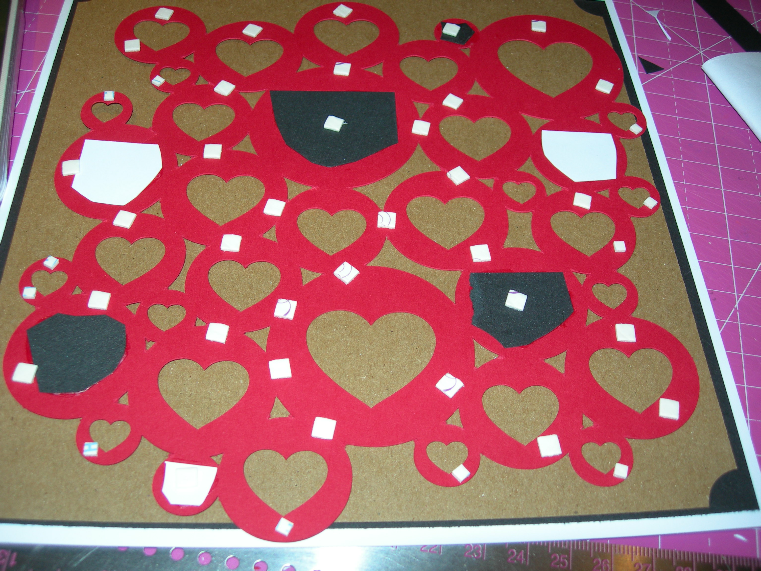 Roughly cut pieces of contrasting card and glue them over the back of the hearts. 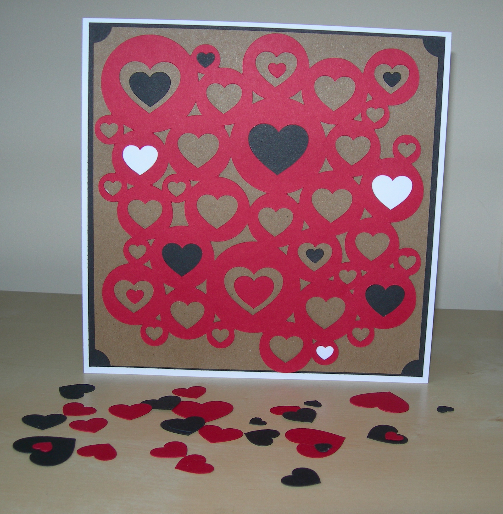 Once you have as many as you want in place, use LOTS(I used 50 odd) of 3D foam squares to give your card lots of dimension. I used Kraft Card and a contrasting colour for my matting and layering and popped some inverted corners onto the Kraft card too. 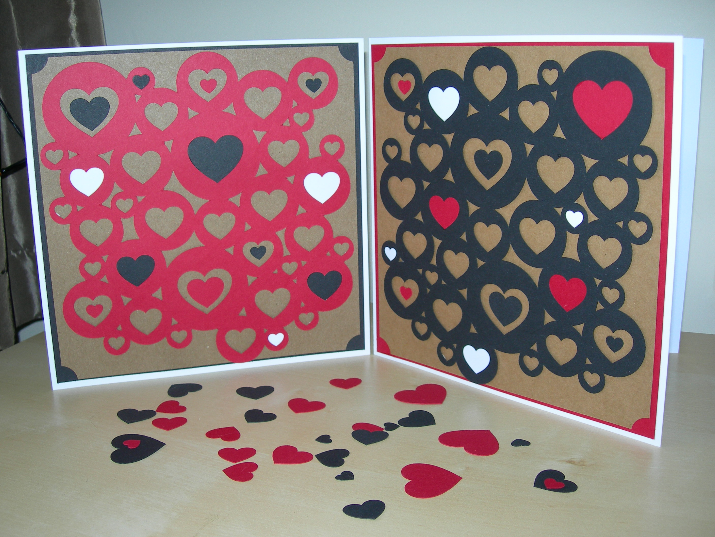 I also popped some more wee hearts inside the cuts to add some more colour and interest to the card. 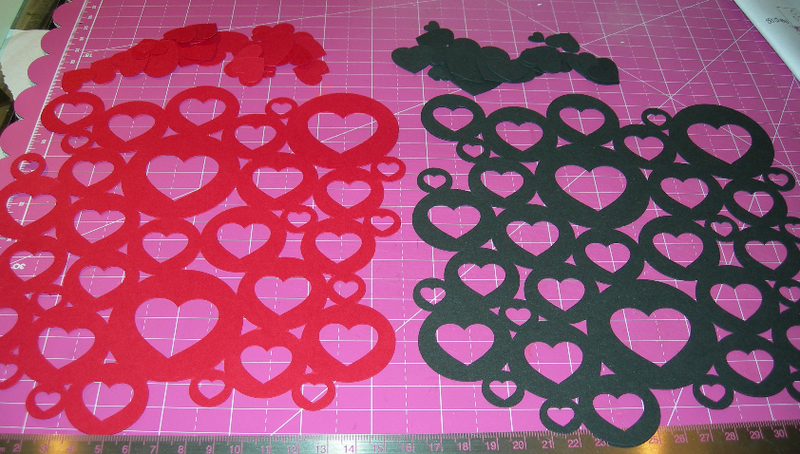 Here are the two cards side by side, complete with some of the extra hearts from the cut outs. These will be popped into a wee box and used as confetti in the cards. 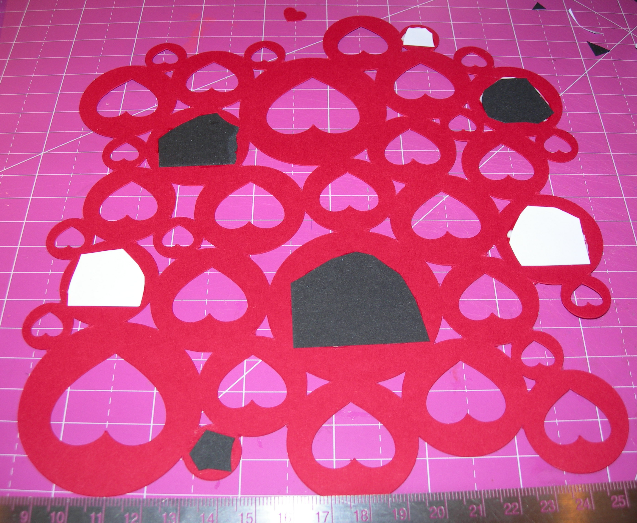 I hope you have enjoyed my post, and that it inspires you to dust off your cutting machine and get crafty. I love using Sarah's Silhouette files as they are so versatile that they can be used for a 12"x12" Scrapbook Lay Out, a 4"x4" card, Project Life, or for whatever crafty project you are working on. Over the next few weeks I will be making lots of different things using Sarah's Files and showing just some of the unique creations that can be made. I look forward to seeing you soon. Fabulous tutorial Carol. Between you and Mum I am seeing why you get excitied by this cutting machine.